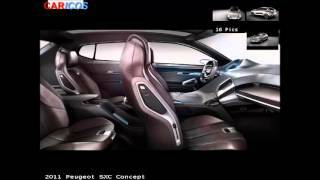 Peugeot SXC Concept Car will be unveiled at the Shanghai Auto Show 2011. The SXC Concept Car is a modern crossover vehicle combining characteristics from the world of the SUV - strength, high driving position, protection, with a modern styling, elegant and refined, much closer to the upmarket world of the saloon than the SUV. Peugeot plans to launch at least one new model per year in China in the coming years, reinforcing its presence in the world’s largest car market. 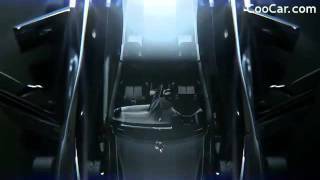 At the Auto Shanghai 2011, Peugeot is launching the Peugeot 508 onto the Chinese market and showcasing a new cutting edge concept car, 100% designed in China – the SXC. The Peugeot 508 which goes on sale in the UK later this month, just a month and a half after the launch in mainland Europe, is already being hailed as a success with orders exceeding sales objectives by 20%. Now the Peugeot 508, which has also been developed for the Chinese market, will be receiving its public launch at the Auto Shanghai 2011. 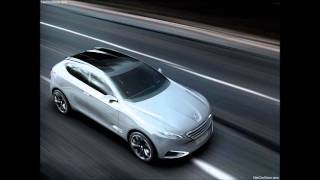 The Peugeot 508 joins a host of other new Peugeot models that have recently been launched onto the Chinese market. Peugeot 207 (hatchback and sedan), 207 CC, 308 CC, 308 SW, 408, 3008, and very soon the Peugeot RCZ. Peugeot’s sales objective in China for 2011 is to sell 200,000 vehicles. Also in China next week, Peugeot will unveil a concept car which has been totally designed and developed by Peugeot’s Chinese Tech Centre in Shanghai. 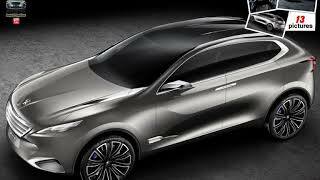 Athletic, powerful, elegant, the "SXC" is a concept car from the Peugeot Style Studios of the China Tech Centre in Shanghai that explores the world of an exclusive and modern Crossover vehicle. With the SXC, Peugeot reasserts its international ambitions, refining its ability to adapt to the specific expectations of each market, while expressing in all areas its vision for the future and its skill in combining pursuit of excellence and emotion. In 2010, Peugeot unveiled a new evolutionary design style with various concept cars: the SR1 roadster, the BB1 city car - 2.50 m long yet for 4 people, the EX1 two-seater roadster - 100% electric, which beat homologated acceleration records in France and in China and the HR1 - exclusive, innovative and a hyper-connected city car. At Auto Shanghai 2011, the Marque's stylists express themselves in another category, which is becoming increasingly popular in the Chinese market, that of the Crossover. With the SXC (Shanghai Cross Concept) this theme is revisited. This concept car combines certain characteristics from the world of the SUV - strength, high driving position, protection, with a modern styling, elegant and refined, much closer to the upmarket world of the saloon than the SUV. The SXC is a vehicle with a strong, asserted character, its style expressing strength and power, without being pretentious, through its lines which are simple and refined, elegant and fluid, and subtly emphasise the athletic, even muscular, character of the vehicle. Each detail is precisely sculpted on a body of impressive size - with a length of 4.870 m, a height of 1.610 m and a width of 2.035 m.
At the front, the SXC bears the ‘new stylistic design codes’ of Peugeot. The theme of the unique "floating" grille, which appears to detach itself from the bodywork, fits harmoniously with its stature. The feline headlamps give it a piercing gaze echoing the Marque's emblem, the lion, proudly affixed on the front of the bonnet. This gaze is emphasised further by a luminous LED “signature” recognisable both by day and night. This visual signature is also present in the rear lamps, the “boomerang” shape of which matches the rear styling and has been designed with particular care. Other "High Tech" detailing has been included such as the tapered mirrors housing the rear view cameras. One of Peugeot's priorities is to continue its environmental leadership in the years to come. This concept car incorporates the HYbrid4 technology: with an internal combustion engine at the front (which drives the front wheels) and an electric motor at the rear (driving the rear wheels), this technology permits all wheel drive when the engine and electric motor are operating at the same time, benefiting safety and grip in extreme conditions. It also permits driving, at low speeds, in "zero emissions" mode with the electric motor only.